Streetwear by definition, are comfortable and casual outfits that usually consist of sneakers, t-shirts, jeans, pants and baseball caps. They are meant to pull off a laid-back vibe for the wearer. But, when done right, streetwear can help you look sharp and smart. Here’s how. Wearing the right fit to look sharp is essential in streetwear. Just like with any fashion, there are guidelines to follow. The basic rule for mens streetwear is to wear a baggy shirt or sweatshirt and pair it with well-fitted denim pants. Just make sure not to overdo it. Going overboard will only make you look out of place. Making sure your outfit makes sense(when we say “makes sense,” we mean wearing a hoodie during the colder days and not on warmer days) is how you look smart and sharp. Another way to look smart and sharp when wearing mens streetwear is to not wear too many brands at once. When you are covered with too many logos because you want to show off your best buys, you will only wind up looking ridiculous. It is best to pick one brand. The most you can do is two. Another way to look smart and sharp even if you are wearing streetwear clothes is to add layers to your outfit. For example, you can wear a shirt on top of your t-shirt. Just make sure you leave a couple of buttons undone when you do. Then wear a jacket to complete the outfit. It is a simple way to add dimensions to your look. Oh and again, make sure to wear it during appropriate times. Your streetwear outfit will not be complete without a pair of great sneakers. So, you have to make sure buying a couple of nice looking sneakers are the first investments you make. You don’t necessarily have to go for the most hyped sneakers. As long as they look beautiful and comfortable, they should do. You can never go wrong with white sneakers as they always look great. Plus, sneaker care products are also a good investment. They ensure that your pairs always look new. Nothing beats sneakers that look like they are fresh out of the box. The basic streetwear outfit includes trainers, a hoodie, denim jeans, and t-shirt. For trainers, as mentioned above, always make sure it looks fresh out of the box. When shopping for a hoodie, always go for the ones that have a big logo. The same goes for t-shirts. By now, you should already be familiar with popular streetwear brands like Supreme, Stussy, Bape, Huf, and Carhartt. Any of these brands produce excellent quality streetwear, so you can never go wrong if you shop for these brands. Wearing streetwear clothes doesn’t mean you need to look sloppy. There is value in looking sharp and smart. 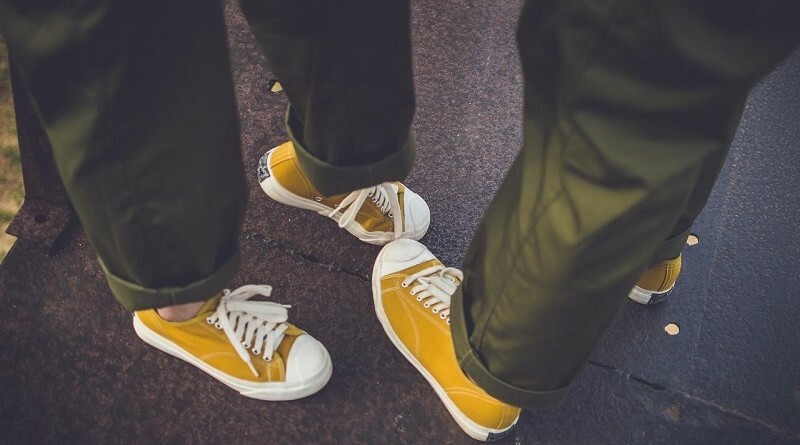 By following these five simple tips, you will ensure that you are looking sharp and smart even if you are wearing your favorite streetwear brands.